How to view my schedule? See only your shifts using "My Schedule Filter"
Step 3: Click on the shift to view the details as shown in Image 3. 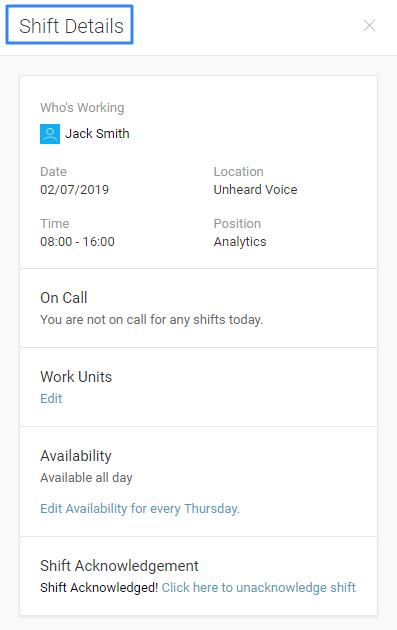 Note: Employees can click on their shifts to view more details of the shift along with options to Trade Shift, Submit Work Unit, Edit the availability and Acknowledge shift.